With razor-thin margins becoming the norm, health care organizations would be wise to ascertain whether new undertakings will produce a viable financial return. To offset the costs associated with value-based reimbursement models and compliance with federal quality improvement programs and other regulatory mandates, hospitals are searching for ways to boost revenues and cut operating costs. Doing so often carries a high price tag for technology, human resources, real estate, and other needs—monies most facilities cannot afford to spend without a high level of certainty that the investment will produce the intended financial results. To ease the stress associated with such difficult decisions, health care organizations can conduct a comprehensive reimbursement analysis. Such an undertaking can go a long way toward establishing financial certainty and reducing the risks associated with the launch of new service lines or deployment of advanced technologies. A "thorough reimbursement analysis, which provides an accurate picture of the reimbursement environment as it pertains to a new service, is important to ensure organizations will be able to provide new innovative services like newly released drugs, devices, and implants to patients while still achieving a margin which will allow continued growth," says Vasilios Nassiopoulos, vice president and client advocate with Hayes Management Consulting. A reimbursement analysis has become a particularly powerful tool in today's complex health care environment. With new regulatory mandates on the horizon, existing quality programs shifting from rewards to punishments, and the more complex coding and claims environment slowing reimbursements, hospitals and other provider organizations are looking to expand or add new service lines to create additional revenue streams. New technologies may also be under consideration to boost compliance or streamline workflows and increase clinical and administrative productivity. All this is occurring at a time when already razor-thin profit margins are getting even thinner. A reimbursement analysis can help ensure any major investments are made with a clear understanding of financial impacts, risks, competition, regulatory issues, staffing requirements—and every other element that goes into determining the new addition's return on investment (ROI). A reimbursement analysis "typically looks at incremental costs and revenues, whether some level of capital investment is needed, as well as risk and volume if it's a volume-driven program. You need to make sure you understand what the risk is if certain assumptions aren't coming true," says Chuck Alsdurf, CPA, director of health care finance policy, operational initiatives, for the Healthcare Financial Management Association (HFMA), who adds that because risk tolerances tend to differ between departments, it's important to be transparent about any assumptions made during the analysis. "Finance tends to be very conservative while clinical tends to be moderate to aggressive," he says. Other considerations include the organization's ROI parameters, expected returns, and recruitment difficulties, which is "a huge factor when you're talking about physicians," Alsdurf says. For example, a pro forma for expanding a current service would require that the reimbursement analysis consider the need for physicians to serve as medical directors or work in the clinical setting. Carving time out of a full-time physician employee's existing workload to add new duties can be a challenge, while recruiting new hires can be a drawn-out process. Thus, the analysis must base revenue expectations on a realistic start date, one that takes into consideration the potential for delays, not just in recruitment but also with other elements such as new construction or renovations and technology selection and deployment. Failure to consider these delays will skew the financial picture because revenues will not begin flowing on schedule. "You can't be six months in and not yet have opened the clinic," Alsdurf says. "That's something organizations tend to overlook, the feasibility of recruiting, construction, and IT on schedule." Nassiopoulos points to the constantly changing nature of today's health care environment as another driver of reimbursement analysis' popularity. Whether it's new rules and regulations, the latest technology or treatment options, or code changes, reimbursement analyses can guide decision making, provided they are "conducted with adequate lead time to include an in-depth understanding of payer mix, the delivery cost of the new service, and the anticipated reimbursement by the designated payer," he says. "Also included should be detailed coding and billing requirements to ensure your organization is prepared before service delivery to process claims." Additions and expansions aren't the only events that call for a reimbursement analysis. According to Cindy Cain, BSHA, CPC, CPC-H, CCS-P, CHC, director of coding & audit and coding operations for Change Healthcare, a decrease in revenues or increase in claim denials should trigger a review, as well as "verification of compliance per [the Centers for Medicare & Medicaid Services] rules and regulations." The net present value of any new equipment purchases should be calculated as part of an effective analysis. (The net present value is determined by subtracting the present value of cash flow from the original investment.) It's also important to "define the project and/or business need, quantify ROI [by] identifying all costs and … estimated benefits [and establishing] what costs will be involved with training, planning, or implementing," Cain says. When it comes to undertaking a reimbursement analysis, the source of the marching orders varies by facility and project type. While the CFO or finance department typically takes the lead—often in collaboration with the revenue cycle team—a business manager or administrator can also pull the trigger. "There is usually a protocol in place that says whether or not [the analysis] needs to be blessed by finance," Alsdurf says. "[From there,] the departments that should be involved are the ones that are managing the operations [impacted by the proposal]. Sometimes you get really savvy financial minds in administrative positions who have the business backgrounds to do the work, but you need to have finance validate [the findings]." A typical team consists of representatives from "finance, revenue cycle—all pillars—materials management, pharmacy, and clinical departments. Contracting and compliance should [also] be involved during the process [as] each one of these areas is responsible for vital parts of the analysis," according to Nassiopoulos, who adds that "to avoid the need to recover lost revenue and implement service backfill, it's crucial to have a structured reimbursement program in place. This program should include a checklist and appropriate sign-off from all pertinent staff or departments involved." Adopting a multidisciplinary approach to a reimbursement analysis ensures input from each impacted area. Each department contributes its unique expertise to deliver a more comprehensive report. For example, involving a revenue cycle representative is advisable when a project requires a clear understanding of how its charge structure will impact overall revenues or when build out of an EMR is required. HIM can contribute valuable details when the service being considered is highly specialized and involves complex coding such as wound care and cardiology. "You always want to make sure you're thinking through the actual charges and potential scenarios, and then making sure you can actually bill for everything," Alsdurf says. "HIM would be more focused on what can be charged for and the workflow itself. You'd also want to involve financial and reimbursement [representatives] on the true collection or payment [evaluations]." Ensuring full representation on the reimbursement analysis team helps avoid overlooking important elements such as charge outliers, particularly in more complex procedural and surgical areas. "It's less about the analysis, but it does impact the whole process of establishing the infrastructure for a new or expanded service," Alsdurf says. "Make sure time and cost are factored, as well as staffing issues. It's the back-end support services that may require additional staffing or costs that tend to get overlooked. IT is one of them. For example, you might need a consultant, which wasn't planned." According to Cain, compliance is another area that is often overlooked to the detriment of the overall reimbursement analysis. She says the organization's compliance officer should spearhead the analysis with the overarching goal of ensuring accuracy and consistency to support compliance and the revenue cycle. "He or she participates as needed to remove barriers, foster communication, and provide leadership and direction. Too many times compliance is overlooked until the analysis is completed, and they should be involved from the beginning," Cain says. "Depending on any issues identified in the analysis, compliance will have the opportunity to review the next steps to ensure ongoing compliance." To avoid omitting procedures, supplies, or medications that can influence the outcome of an analysis, Nassiopoulos recommends conducting a thorough cost analysis first. This should include any fee schedule changes in all high revenue-generating areas such as pharmacy, supplies, and bedside procedures. That's just one trick to creating an effective reimbursement analysis. Another is to consider outsourcing the process, which alleviates the burden a comprehensive analysis can place on internal staffs. "Reimbursement analysis is usually accompanied with cost analysis and other related time-consuming tasks [that] are laborious, require attention to detail, and require multiple staff hours," Nassiopoulos says. "It is highly advisable that organizations outsource the analysis project. Organizations can work closely with the company engaged to complete the project, ensuring a timely, accurate, and comprehensive analysis. 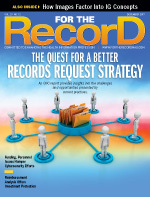 The ROI of accurate and timely reimbursement usually covers the majority of such an expense." Cain concurs, adding that many facilities don't have the talent, capital, and IT resources necessary to keep pace with a rapidly changing economic environment. Outsourcing fills those gaps by providing access to dedicated and trained experts who can ensure compliance. "Health care organizations have seen value in establishing partnerships with outsourcing for improved financial management, freeing up hospital resources and administrators' attention for what matters most—patient care," she says. "Hospitals need financial solutions that reduce overhead costs, improve claims processing efficiency, and increase coding accuracy, thereby giving hospitals added financial support as they take on alternative payment models, etc." If time is an issue, Cain notes that there are ways to accelerate the review process without sacrificing quality. For example, "Prepare and run all required or necessary reports, which include but are not limited to a payer financial report, accounts receivable aging report, denial report, payer mix report, and current providers' bell curve data. Schedule time with staff who may need to be interviewed," she says. In addition, with access to the right data, health care organizations can leverage financial analytics to "monitor payment processes for completeness, correctness, and speed [and to] identify areas for improvement and prevent bottlenecks," Cain says. Time also can be saved by focusing the analysis process on the most utilized or expensive procedures, in addition to any new or modified ones. "This should be sufficient for a time-constricted reimbursement analysis," says Nassiopoulos, cautioning that "a more detailed analysis should take place as soon as time allows the organization to do so." Whether it's handled internally or externally, the need for reimbursement analysis is growing thanks to the advancement of value-based care models. However, additional efforts must be made to ensure the analysis addresses the broader considerations of a value-based contract. For example, if a new clinic is planned as part of a readmission reduction strategy, what implications does that carry under value-based care? How does it fit into the broader scope of the services for which the facility is being paid? "There is some extra math that you need to be thinking about even if it's hard to quantify. What are you actually going to be paid? You need to know that, not just for the analysis, but overall," Alsdurf says. "The one thing HFMA has found is that the comprehension of how value-based payment strategies are approached must align with the overall operational strategies. The two aren't always clearly connected. … Make sure you're aligned and share information with all levels of leadership about your value-based strategy and how it will impact them."